PAMECA V | Practical training on concrete cases of fight against organised crime. Practical training on concrete cases of fight against organised crime. Home News Practical training on concrete cases of fight against organised crime. 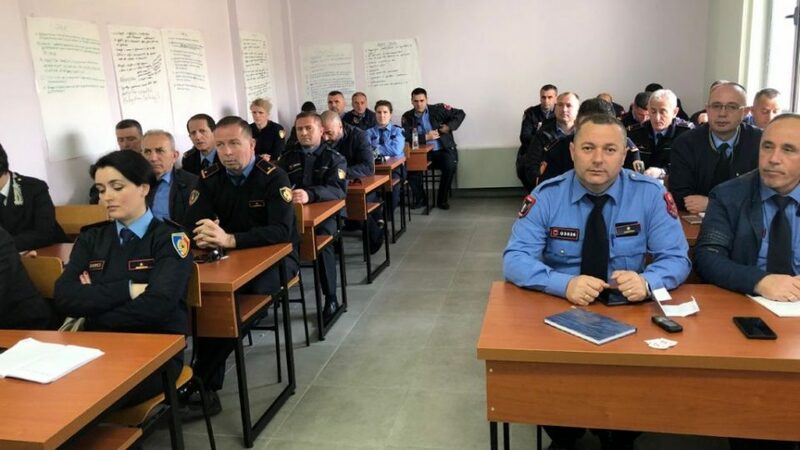 An open training was delivered to 32 management–level judicial police officers by PAMECA V international expert, on 3rd April 2019, at Security Academy. The training revolved around a concrete investigative case on international drug trafficking, which was introduced and discussed among the attendants in terms of the proactive investigative techniques employed and also the procedures followed to activate international collaboration between police structures and law-enforcement agencies. This activity aimed at expanding the judicial police officers’ knowledge on how to properly handle an organized crime investigation case and how to plan and arrange an investigation process.